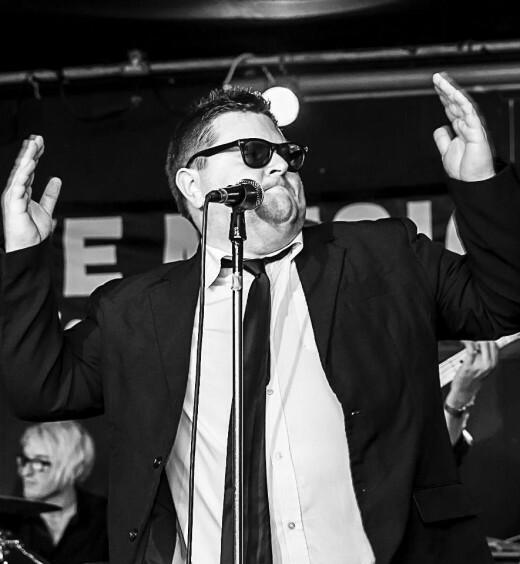 Ritchie has been a vocalist for over 25 years, touring theatres and venues around the UK in a Commitments and Blues Brothers production. 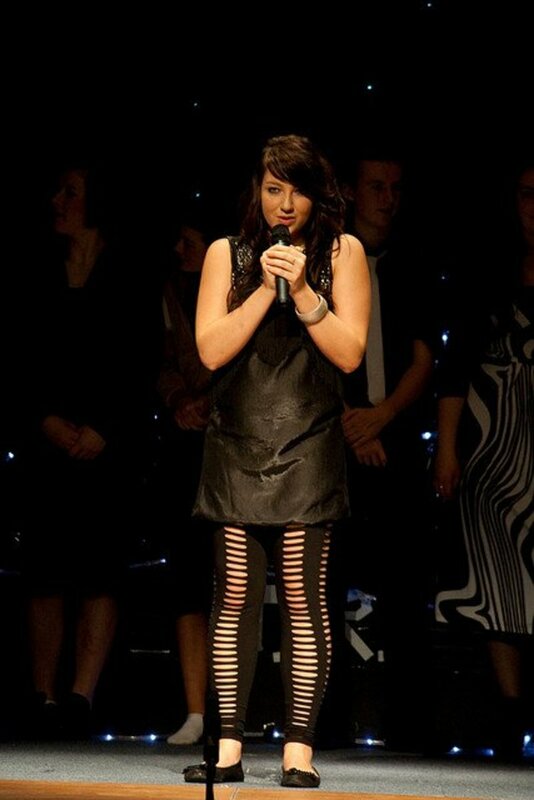 I have been a singer since I can remember, and have performed live in thousands of events over the years. As most vocalists will tell you, a cold can leave you struggling to sing, bunged up and lacking confidence. There is nothing worse than trying to hit or hold that important note only to be let down by a failing voice. So how do you sing with a cold or a sore throat? Over the years, I've tried every method available to get through those tough performances. I'd like to share what works for me (and what doesn't). 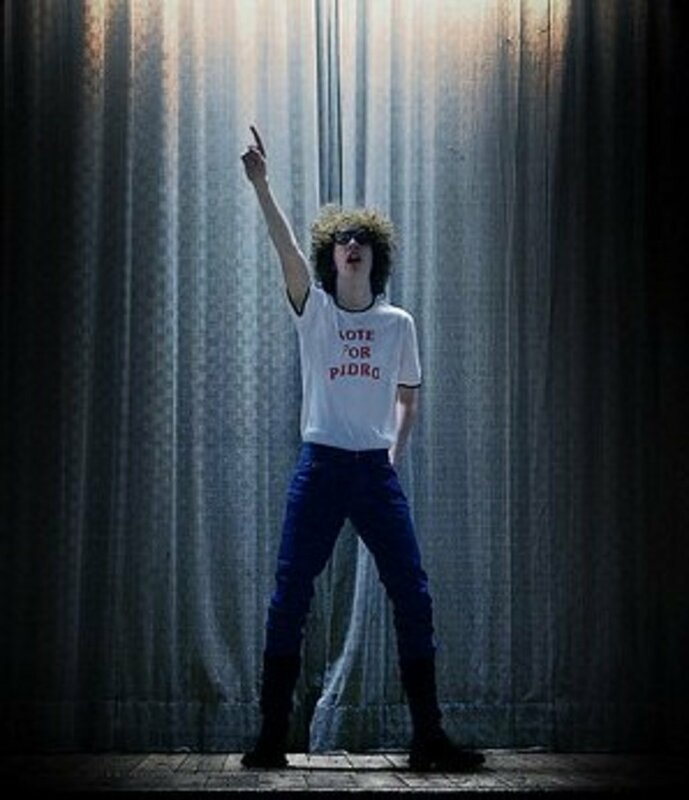 As they say, "the show must go on!" So let's take a look at how to sing with a cold or a sore throat. Singers (in fact may people) completely forget, or fail, to understand that blocked sinuses can have a huge effect on your singing capabilities. Nasal congestion, including blocked or inflamed sinuses (sinusitis), and a runny nose (rhinorrhoea) prevent the air from expelling from your lungs and throat and have a drastic effect on the sound of your voice. This can leave vocalists struggling for breath and with a voice that sounds nasally and lacks treble. In addition, mucus that drips down the back of the throat (without you even noticing) causes irritation which induces a cough. This is called post-nasal drip, and clearing your nose can help prevent it. So start with the nasal area first. My first suggestion, if you're suffering from blocked nose and sinuses, is to clear them. There are two methods that I highly recommend: steam and Sudafed Blocked Nose spray. Steam is well documented for clearing the nose and has been used for decades, but it does require patience and a number of attempts before you start to notice a difference. I like to add a menthol rub (Vics Vaporub) into a bowl of hot—not boiling—water. I then place a large towel over my head and place my face about 30-50cm from the bowl. If you breathe the team in through your nose and out through your mouth in slow, deep breaths, then this process works effectively You should carry this process out for around 10 minutes and try to do it in the morning, midday and about an hour before your vocal performance. You should exercise caution when using this method and take care not to burn or scald yourself. Use hot—not boiling—water. The problem with antiseptic lozenges is that they numb the pain rather than trying to soothe it. This means that you can end up unable to feel how hard you are pushing yourself and can very easily strain your vocal cords. I am also convinced that the antiseptic effect constricts your vocal cords, making it more difficult to produce sound. Instead, I highly recommend you try the more natural alternative—Vocalzone. 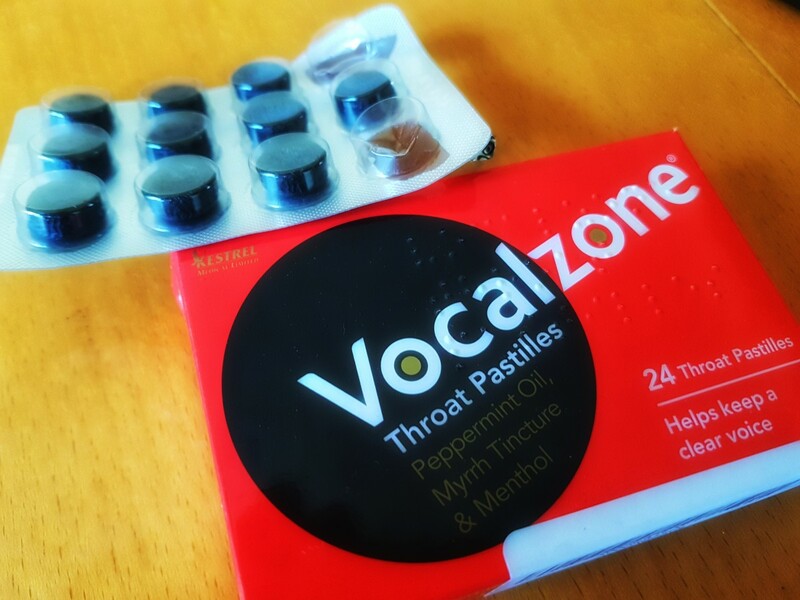 Vocalzone is a throat pastille which contains natural ingredients including peppermint oil, myrrh tincture and menthol which are all proven to help clear congestion and ease a sore throat. I have used Vocalzone for over a decade and can't recommend it highly enough. The pastilles are respected around the world by vocalists, professional speakers and teachers. Don't just take my word for it - check out the hundreds of famous people who recommend Vocalzone including Sir Tom Jones, JME and Dione Warwick. If you're happy using medication, Sudafed Blocked Nose Spray is an excellent way to quickly clear your nasal cavity and I've had excellent results from it. In fact, I find it so good at opening my nasal area that I use it just before a show even when I don't have a cold as I believe it helps my voice project further. The spray contains xylometazoline hydrochloride which is a type of decongestant which has physiological effects on the sympathetic nervous system by promoting the stimulation of sympathetic nerves. Use xylometazoline hydrochloride with caution, as research suggests that using the drug for too long can cause rebound congestion on withdrawal, due to a secondary vasodilatation with a subsequent temporary increase in nasal congestion. This the tempts the further use of the decongestant (because people incorrectlt think their cold is back), leading to a vicious cycle of events. So once your sore throat, cough or aching has stopped you should stop using the nasal spray. Drinking fluids is one of the best ways to combat a cold, but you should chose warm drinks over cold. The reason? Research by the American Osteopathic Association has shown that although cold drinks can help soothe a sore throat because of the numbing affects, it's actually better to drink warm drinks because they help to thin out the sinus mucus; meaning the nose and sinuses clear more quickly. 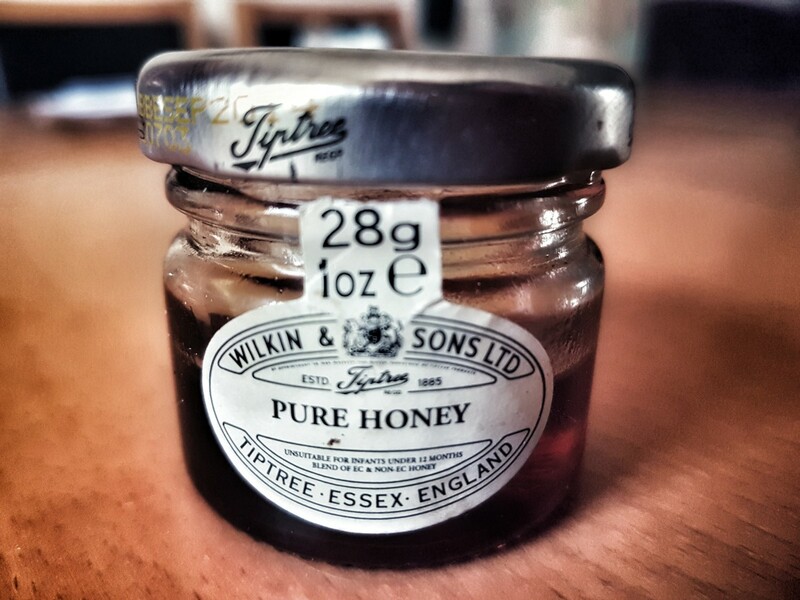 Honey and lemon has been used for hundreds of years as a remedy for a sore throat and is just as good as many over the counter cough medicines. What's more, this natural remedy doesn't contain the side-effect inducing ingredients which can cause stomach cramps. Simple add a large slice of lemon to a mug with a teaspoon of good quality honey and add boiling water. Once the honey is stirred in an dissolved, wait for the drink to become a comfortable temperature and sip little and often. It is believed that the lemon helps to break down mucus whilst the honey gently lines the throat allowing natural lubrication. Caffeine is a diuretic. This means that it leads to increased production of urine which can leave you dehydrated. You should avoid any caffeinated drink if you're singing, especially coffee and fizzy soda which often contains it. Instead, look for a caffeine free option or a herbal tea. An anti-inflammatory can help to reduce inflammation in the nasal cavity and reduce swelling in the throat. Speak to your pharmacist for more advice on using this type of medication. You shouldn't use aspirin at the same time as any other anti-inflammatory medicine, but gargling with a dispersible form of aspirin can work wonders for a sore throat. Aspirin is cheap and effective. Dissolve it in tepid water and gargle for three to four minutes. You can do this three to four times a day. Spit out the aspirin after gargling and try not to swallow it. Are you still smoking? If so, you need to quit. Not just because of the damage you're doing to your health but because smoking dries the throat out and damages the vocal cords. In addition, smoking has been linked to increased colds. If you sing, you should be warming your voice up before you perform. Although you might think that doing this before a show is going to add strain to your voice, done correctly a vocal warmup will actually help to prepare your vocal cords and organ pipes by gently stretching them.